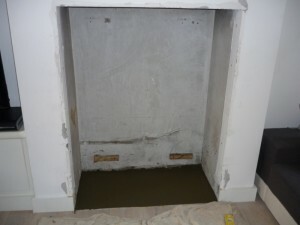 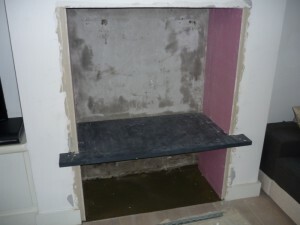 A charming client was recommended to us after her builders had left her with a fireplace she did want and couldn’t use. However, she did know what she wanted and she gave us the task of finding and installing the right stove. The initial task was to open up the fireplace and see what space we had to work with. 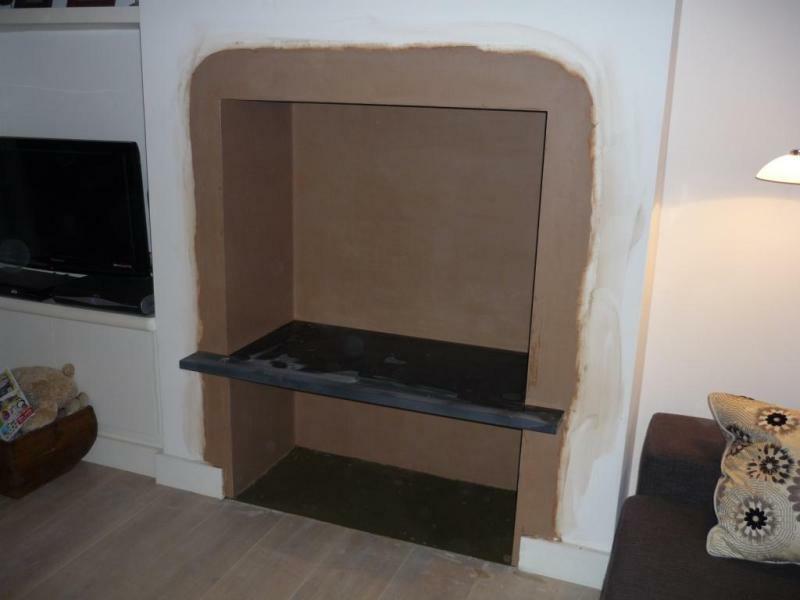 We then created a slate shelf on which to put the stove. 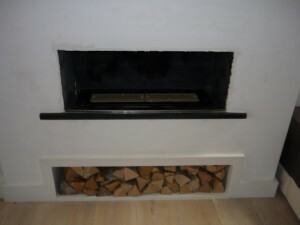 In addition, underneath the shelf we created a large log store enough for a good supply of logs. 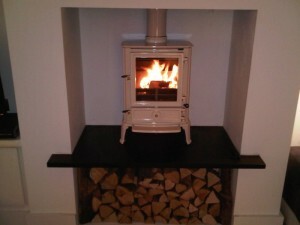 The stove itself was a Brunel 2CB from Stovax in Ivory enamel. 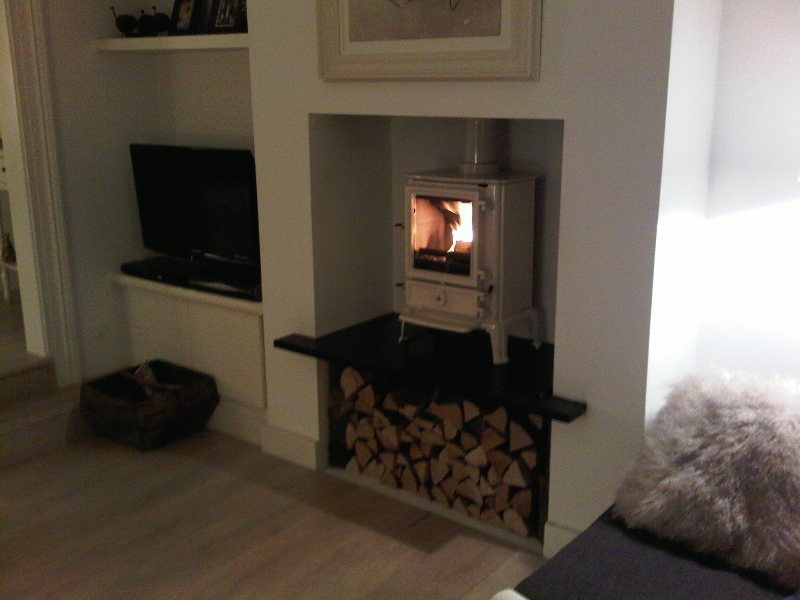 Everything went in great and the client has enjoyed many weeks of warmth. A pleasure to work for.